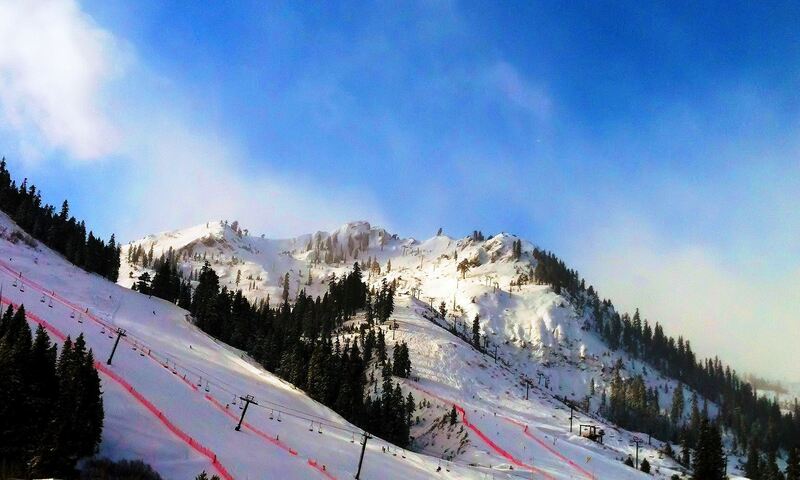 It’s a great Tahoe start to the week with fresh snow at Squaw Valley! The storm we’ve been eyeing for the past week finally rolled in last night, and left us with 6 inches of fresh powder. And there was even a break in the weather for bluebird skies – a nice powder morning here. What a way to kick off a jam-packed week! There are plenty of lift ticket specials to take advantage of, so here goes. Squaw Valley just rolled out the new Tahoe Super 2 lift ticket deal: two unrestricted days of skiing and riding at either resort for just $49 per day. Tahoe Super 2 has absolutely no date restrictions and is valid for any two days! As a bonus, you will also get two free unrestricted Friday afternoons of skiing or riding! Be sure to get your tickets now. And since we hope you haven’t been living under a rock, yes; tomorrow is Valentine’s Day. Did you know on every Valentine’s Day, the Italian city of Verona, where Shakespeare’s lovers Romeo and Juliet lived, receives about 1,000 letters addressed to Juliet? You can be a stellar romantic like Romeo too! Today is your last chance to pre-purchase $14 lift tickets to “share the love” on Valentine’s Day. Yep, that’s right. Ski or ride with your sweetie on Valentine’s Day for half the cost of a child’s lift ticket! If you’re jetting last minute to Squaw for powder, and need to book your stay, get all the details here! There’s snow on the horizon as we head into the end of the work week, and President’s Day Weekend is here! Always one of the biggest and best weekends skiing or riding at Squaw, we’ve got just the answer to your lodging needs. Starting Monday, February 20th, our standard room rates start at only $199! Pack up the kiddos for a fun-filled weekend, with Kid-O-Rama kicking off on February 18th and running through the week. Skiing, s’mores, tubing, face-painting, family movie night and crafts – is there a better way to entertain the whole family? Want to learn more? Become one of our fans on Facebook! 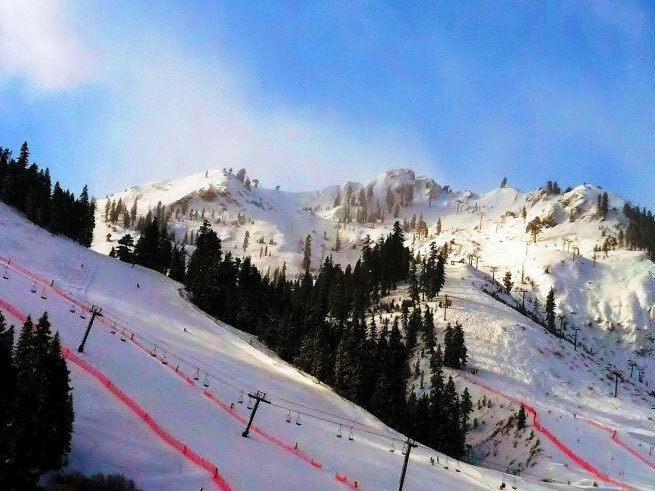 You could win the next vacation package sweepstakes to Squaw Valley on us. We hope we never hear you say that Squaw Valley or Alpine Meadows rarely show the love! Check out this incredible lift ticket steal. A limited number of lift tickets on Valentine’s Day are going for $14/each! That’s less half the cost of one child’s day ticket. Lift tickets must be purchased in advance and are only available while supplies last. Share the love with others, and enjoy a day of sweet skiing at Squaw Valley or Alpine! Click here for more details and to purchase now! 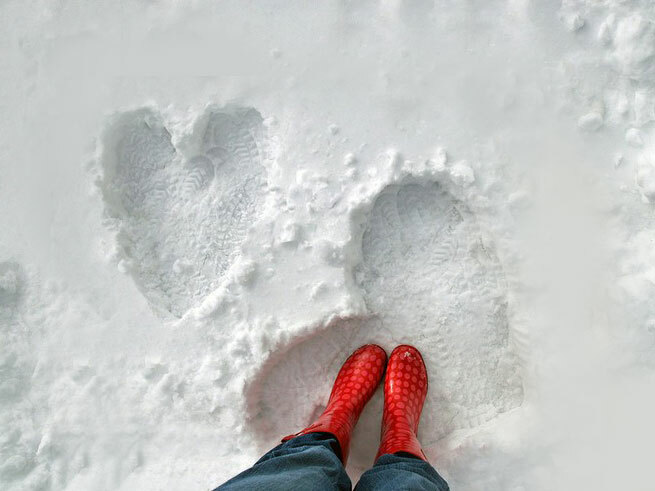 And don’t forget the Valentine’s Package we have available to surprise your sweetie with a romantic day on the slopes, dinner for two, and Swedish massage to top off your day, and ease those tired muscles. Click here to book your Valentine’s getaway! If the cold Truckee-Tahoe evenings are getting to you, then join others for an early evening of tea at Cedar House Sport Hotel on Thursday, February 9th from 6pm-8pm [Tweet This !]. 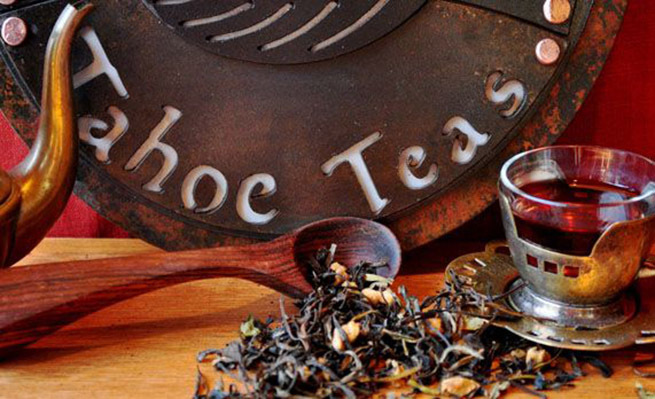 Tahoe Teas will host a dynamic evening of their proprietary certified organic teas and herbal blends. Learn about Tahoe Teas’ origins and the Slovenian cultural influence on its founder, Alenka Vrecek. Relish in freshly baked scones from Stella and dive into the first official Truckee-Tahoe showing of “All in this Tea,” a film by Les Blank and Gina Leibrecht. “All in this Tea” follows American tea importer David Lee Hoffman to remote regions of China in search of the finest handmade teas. Not since Robert Fortune clandestinely made his way through China in 1843 (to steal plants and seeds for the British Empire!) has a westerner attempted to gain access to the world where farmers have been making tea for generations. Hoffman introduces the west to one of China’s finest cultural gems—the artistry and exquisite taste of fine, handmade tea. The film is 70 minutes, and Gina Leibrecht will be on site to introduce the film and answer any questions by viewers. Purchase your tickets ($18) here! It’s the fifth anniversary of Uncorked at Squaw Valley and they are celebrating big time! Join others on Friday, February 10th from 5pm – 8pm for an outdoor event of winter warming proportions. Purchase your ticket ($40) and delight in wine tasting from Uncorked’s ten favorite wineries, a commemorative wine glass , lamb stew from Soupa, live music from Jazz Mafia, a massage tent, and fire pits! Bundle up in a beanie and puffy, and mingle on First Street in the Village at Squaw with other wine connoisseurs. Your ticket also goes to a great cause, benefiting High Fives Foundation: a local non-profit dedicated to raising money and awareness for athletes that suffer a life altering injury while pursuing their dream in the winter action sports community. Buy your ticket now before sell out!